What is an Utah Living Will? Utah Living Will: What Is It? A Utah living will is also known as an advance healthcare directive. The purpose of a Utah living will is to document your medical care wishes. 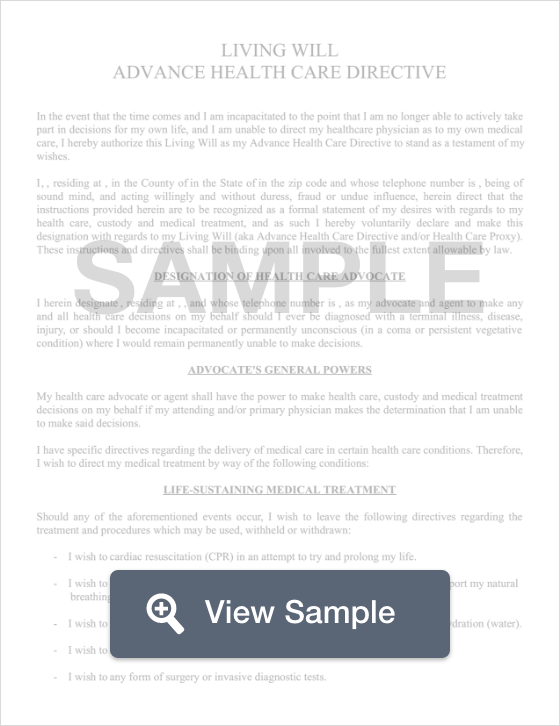 This is an important document because it will be used by healthcare providers if you are unable to make your own medical decisions for any reason. A Utah living will is also used to name an agent. Your agent will make medical decisions on your behalf during that time. Your Utah living will must be signed by one or two witnesses. § 75-2a-101 through § 75-2a-125: The Advance Health Care Directive Act allows competent adults to create a document that makes their medical care wishes known if they can no longer voice that information. If no surrogate is named, the order of priority is the spouse (unless there is a divorce or legal separation), an adult child, a parent, an adult sibling, an adult grandchild, or a grandparent. When planning for the end of your life, it is important to make sure that you also create a Utah last will and testament.